In this blog we would like to proudly introduce our photographers through Nick and Melissa's wedding. We have 2 photographers at Scott Goh Photography, myself (Scott) and Chun. feel free to view our profiles at our website. All images are processed or edited using the same system to maintain the consistency and quality of our work. In this wedding, Chun started at the groom and bride's preparation. I then join them at the ceremony. Nick and his groomsmen started their preparation at the Stamford Grand Adelaide Hotel. 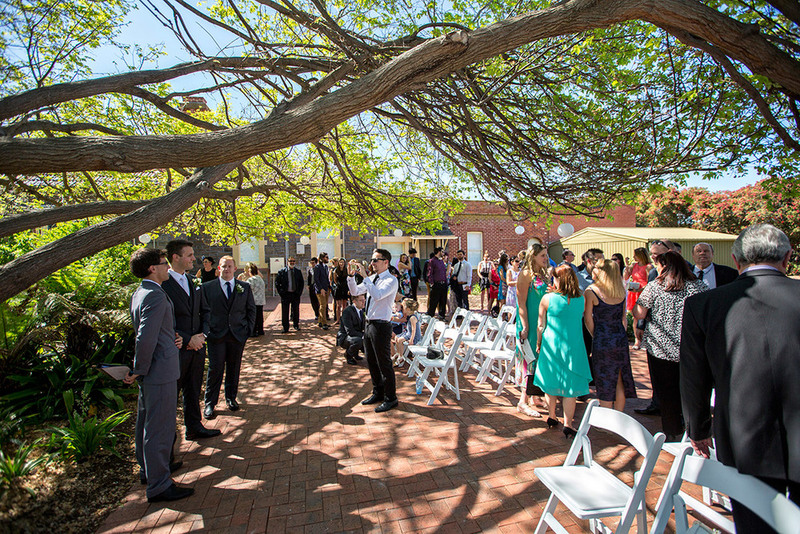 Their ceremony was held at the Partridge House with the reception at the Somerton Surf Life Saving Club. There's something I find very special about Nick and Melissa's wedding is that they have collected sand from different beach along with their treasured memories throughout the whole South Australia and have them on the table during the reception. This is just so unique and meaningful. Another special thing about their wedding is they have chosen to have their bridal portrait taken in places that are meaningful for both of them. They are just so spontaneous and so much in love. The sunset shots were just perfect. In order to get such beautiful images, the timing is very important. If you are after such images, to ensure that you have a better chance, you need to plan the bridal portrait carefully according to the season of the year. Chun and I enjoyed capturing their special day very much and would like to thank Nick and Melissa for choosing us to be part of their memorable day. If you are interested in our work and keen to view more or discuss about your wedding, feel free to contact us to arrange a non obligated meeting. To view our previous wedding blog post, please check out the link below.